Kaohsiung Customs is one of the four Customs under Customs Administration, Ministry of Finance. Its jurisdiction covers Chiayi, Tainan, Kaohsiung, Taitung cities and counties (i.e. 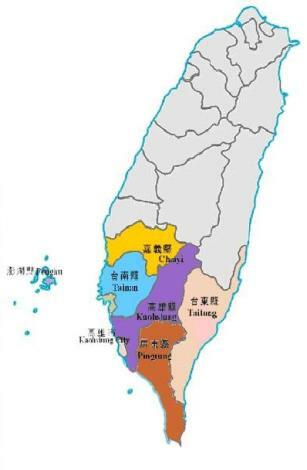 the southern part of Taiwan), as well as Penghu Island and Kinmen. Kaohsiung Customs officers perform their mission at Kaohsiung Port and its subsidiary “Anping Harbor,” as well as Kaohsiung International Airport. Being the only Customs which handles both sea and air cargo clearance with jurisdiction covering off-shore areas, Kaohsiung Customs deals with the most extensive and complicated customs operations among the four Customs in Taiwan. Head Office: No. 3, Jiexing 1st St., Gushan Dist., Kaohsiung City 80441, Taiwan.